Why Is New York City Fighting a Measles Outbreak Within Just Four Zip Codes? The city's health department will begin imposing fines for unvaccinated people living in the neighborhood of Williamsburg. Women pushing strollers walk past the Yeshiva Kehilath Yakov School in the South Williamsburg neighborhood, on April 9th, 2019, in the Brooklyn borough of New York City. Public-health agencies often warn that disease knows no boundaries. 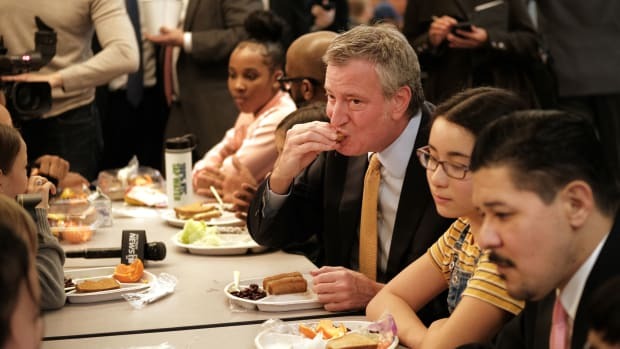 But in New York City, a growing outbreak of measles has pushed the mayor&apos;s office to declare a public-health emergency within just four zip codes. According to the health department, the city&apos;s 285 confirmed cases of measles are concentrated among seven neighborhoods in Brooklyn and Queens, largely in Orthodox Jewish communities that have not vaccinated their children. The situation is by far the most serious in Williamsburg, a neighborhood in Brooklyn that is now facing 228 confirmed cases of measles. About a tenth of these come from just one yeshiva, which allowed an unvaccinated student to attend school despite the city health department&apos;s ban. One case soon led to 20 more. On Tuesday, the city health commissioner issued an order requiring people who live, work, and go to school in this area to be vaccinated, or face a fine of up to $1,000. 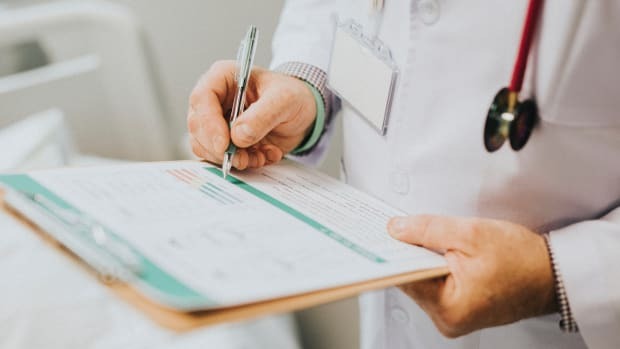 The city has said it will enforce the penalty by checking the medical records of anyone who may have come into contact with an infected patient. "We&apos;ve seen a large increase in the number of people vaccinated in these neighborhoods, but as Passover approaches, we need to do all we can to ensure more people get the vaccine," Health Commissioner Dr. Oxiris Barbot said in a statement on Tuesday. According to the health department, this is a last-ditch measure: Previous attempts to stop the disease have failed, because so many residents have refused to get vaccinated. Already, the city has ordered yeshivas and day-care centers serving the area&apos;s Orthodox Jewish community to bar unvaccinated students from attending. Why Is the Disease—and the Public-Health Emergency—Clustered Within Such a Small Area? It may seem counterintuitive, but the fact that unvaccinated people are clustered within four ZIP codes (and not spread throughout the state or city) makes the risk of vaccine-preventable illness even greater. Measles is highly contagious, and thus requires at least a 95 percent vaccination rate to maintain herd immunity. (Other diseases, like polio, require around 85 percent coverage.) While New York City has an average childhood measles, mumps, and rubella vaccination coverage rate of 91.9 percent, the coverage rate in Orthodox Jewish communities is typically much lower. This concentration increases the probability of outbreak, as Pacific Standard has previously reported. Why Are Orthodox Jewish Communities Experiencing Outbreaks? The situation is particularly dire because New York&apos;s Orthodox Jewish communities—including in Rockland County, which is also facing an outbreak—tend "to be very insular," according to Ross Silverman, professor of health policy and management at the Fairbanks School of Public Health at Indiana University–Purdue University Indianapolis. "It&apos;s circulating around and around within that community," he said last month. Many students in these communities attend religious schools with particularly low vaccination rates, five of which were found to be in violation of the city&apos;s ban. This particular outbreak started when an unvaccinated child contracted the disease on a visit to Israel—currently facing an outbreak of its own—and brought it back to Williamsburg, according to the Centers for Disease Control and Prevention. 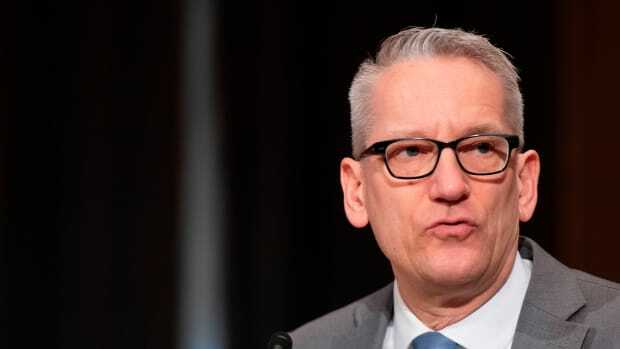 "[T]he risk of measles affecting our New York communities is particularly acute in neighborhoods where international travel is common and frequent," New York City Councilman Mark Levine said in a statement. That doesn&apos;t mean the disease can&apos;t harm people outside of the Orthodox Jewish community: The health department has warned that "people who lack immunity are highly likely to become sick if they are in contact with an infectious person or near where an infectious person recently has been." 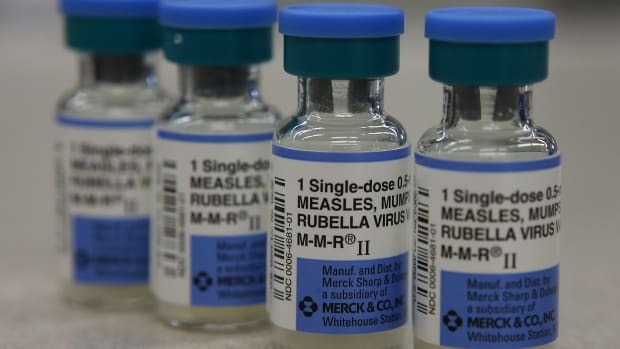 Why Measles Outbreaks Are on the Rise in the U.S.
Research shows anti-vaxxers have stoked public resistance to vaccination and increased rates of vaccine-preventable diseases across the country. Rockland County Banned Unvaccinated Minors From Public Places. Will This Prompt Legal Challenges? Public-health experts say the measure is unusual, but necessary. While anti-vaccine propaganda continues to spread online, experts and teens are talking about how to fight it. The Meatless Monday campaign has done what federal nutrition policy has not: ban meat—at least for a day. Minnesota has had more cases of measles this year than the entire U.S. did in 2016. Washington State Might Eliminate Non-Medical Vaccine Exemptions. Could It Prevent the Next Outbreak? The state would be the fourth to ban non-medical vaccine exemptions, a policy change lauded as one of the surest ways to avoid an outbreak.